I think I'm a little more excited than I should be about getting this book in the mail today. I don't think I was drunk when I ordered it either. There's a section on "chicken couples". 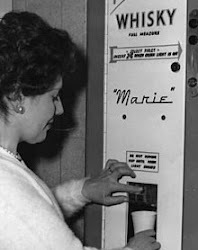 I want to get one of these. Or these. Good one, Mother Nature. You know, how you waited until I slathered pore-clogging sunscreen on, spent 30 minutes in the sweltering, mind-numbing heat watering the damn plants- and then the minute I step inside, you cloud over and unleash sheets of rain? I'll give you this one, you wily hussy. A while back I told my neighbor (who I barely know) that we were looking for a dog. I tend to get ahead of myself sometimes. I say "are" when I mean "might". It's a flaw, and I'm o.k. with that. She's a "dog" person: volunteers for a shelter, "fosters" dogs, at any given time has the Von Trapp family of dogs at her lovely home, etc... you get the picture. Her family rendition of Do-re-mi is awesome. Well, the problem is- we never got a dog. Now, whenever I run into her I can feel her contempt. She can smell that I'm not a "dog" person. She thinks I'm a liar (she's kind of right). She sees the lack of chew toys and poop in my yard and has deemed me weak. Sorry neighbor lady, we just changed our minds, for now. We may get a chicken instead. NOW QUIT JUDGING ME!!!!!!!!!!! !JUDGY McJUDGESTER!!!!!!!!!!!!! Hey- can't wait to see you at the block party! I'm bringing bars! well - considering you live next door to the Von Trapp family of dogs that should be enough dog for anyone. omg....you have to get one of those big fluffy chickens, put it on a leach and teach it to go for walks!!! and then walk past the neighbors house over and over, back and forth. just thinking about it is giving me fits of giggles. Is it strange that I want to flip through your chicken book? Don't disrespect the chickens. When I lived in Georgia my closest friends kept chickens as pets. They were really friendly, almost sycophantic. They'd follow us around the yard and into the house, always wanting to be on the scene, constantly asking "So where's the rave?" screw the dog. I've always wanted chickens. Well thats a lie, I've always wanted some chics. Then you can train them, grow with them, and outlive them and slowly roast their dead bodies over a spit fire. That's twisted, isn't it? That chicken has a bitchin' hairdo. an incredible find. You should ask your neighbor if she drinks. 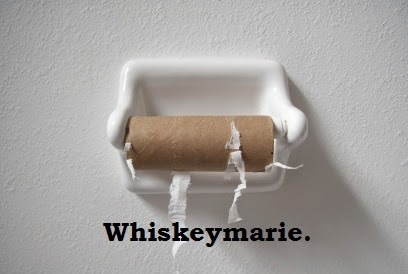 Then evil eye her when you see her sober. That'll learn her. My car has no AC and when I left work last night it was raining. I had to drive with my window down. THAT was really not awesome. I actually had a friend who had chickens as pets. He said they were very low maintenance. Compared to my schizoid canine I could deal w/a little lower maintenance pet. Besides think of cool names you could have for a chicken...Chicken Little, Chickenshit, Kentucky Fried...oh the possibilities are endless! That picture almost makes me like birds! Holy hell, I thought a chicken was a chicken, well apparently not. I agree with everyone else, put your chicken on a lease and let her peck that ladies face. I am foregoing my usual round of bloomers to emphasize my point here. 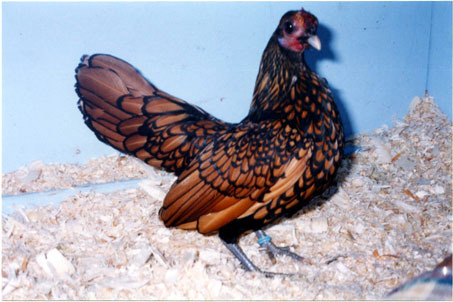 If I were a chicken, I'd want to be a punked-out Blondie-type chicken. I'd smoke and get into all kinds of trouble with boys. This is me yelling at Roberto, my bad boy lover, because he wants to fight Eddie, my drug dealer. "...for example, St. Paul’s ordinance restricting the ownership of rabbits, chinchillas, minks, chickens, turkeys or other small animals or birds was found valid because it did not unreasonably restrict the type of pet one can own nor unfairly exempt certain organizations from the permit regulations." Crap. I wonder how firmly they enforce it. I was seriously researching where to buy these sorts of chickens. They're pretty cheap, turns out. Lol- you'd be the badass girl chicken with patent leather talons and hopped up chicken feed running through her little chicken veins. The other chickens would call you "stiletto" or "legs"
XO to you, tough chicken girl. I strongly suggest to shy away from the chicken... unless you need a last moment meal. See? Now you HAVE to go to the Poultry Barn @ the State Fair and talk to all the breeders & get the 411. I heart the chicken barn! I live in St. Paul and my neighbor down the street has a whole coop full of chickens. And a rooster. My friends in Minneapolis had them, too. They had to get a permit once they had more than 10 of them, but up to a certain number were not restricted. You can live the dream! I cannot wait to read the tales you will tell with a pet chicken in your life. Really, you must make this happen. 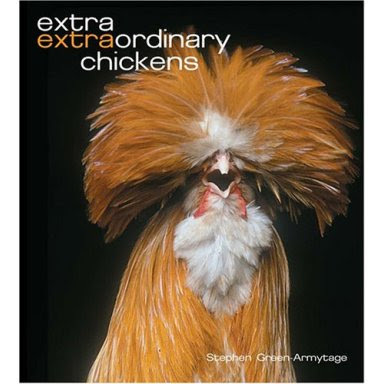 I bought someone the extraordinary chickens book for Christmas this year. It's good to see that someone gets a kick out of a good chick picture.